Established in 1995, Automotive Services is one of Dublin’s busiest VTN vehicle test centres. Not only does the company specialise in testing, it also develops software for VTN centres across the country. Run by the Murray family, Automotive Services became a VTN centre in April 2005 to coincide with its move to a new purpose-built 15,000 sq ft facility at Parkwest Industrial Park, Dublin 12. Prior to that, the company’s headquarters were located in the Westlink Industrial Estate on Dublin’s Kylemore Road, from where it operated a DOE test centre. Over the past 15 years, Automotive Services has built up a large customer-base which includes everyone from the small painting contractor to the large fleet operator. “We’ve very happy with the support we have received from commercial vehicle owners in the Dublin region and beyond,” company director Derek Murray says. “We’ve invested heavily in providing the best possible facilities for our customers, whose business we value and appreciate very much. 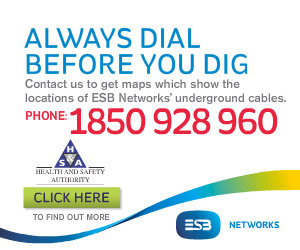 The safety of our customers is of paramount importance to us. Our priority is to ensure that they are safe on the road. We work closely with the Road Safety Authority and the other VTN centres around the country, many of who were are on first-name terms with. Automotive Services caters for all commercial vehicles, ranging from vans, 4x4s to HGVs and trailers. 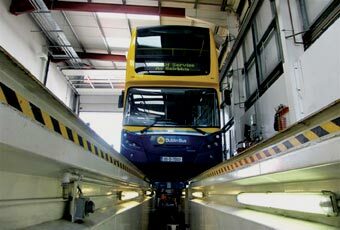 The company’s two testing bays and eight workshop bays are fitted with the very latest in computerised testing equipment, which comply with the latest standards of the Department of Transport and recommendations of CITA. The centre’s technicians will be more than happy to answer any questions you may have before and after the test. Vehicle owners can relax in the waiting area while their test is being completed with WIFI, Sky TV and tea/coffee making facilities available. “We pride ourselves on being Dublin’s most convenient, comfortable and friendliest vehicle test and repair centre. We’ve been in this business for 15 years and we’ve built a team that’s as enthusiastic about customer service as we are about the safety and professionalism in our work,” Derek explains. The test centre is open five days a week, Monday to Friday, from 8am to 5.30pm and is also open during lunch. Rates (excluding VAT) range from EUR70.86 for light commercials to EUR165.38 for GVWs over 7.5 tons with four axles or more. The rates for each vehicle category have been set by the Road Safety Authority and not by the testing centres, which don’t charge anything extra. Many of the VTN centre uses the CVT software application which has been developed by Automotive Services to satisfy the requirements set out by the Department of Transport for vehicle roadworthiness testing of both light and heavy commercial vehicles. CVT is user friendly and designed to easily incorporate future enhancements and future State requirements and regulations. Because CVT was developed in conjunction with authorised test centres, testers and mechanics, the application not only satisfies the testers’ requirements, it supersedes them. Automotive Services is much more than a VTN centre. Also a Tachograph centre and Mitsubishi Fuso service and parts dealer, it offers the following services: repair and maintenance, vehicle plating, road speed limiter, electrical repairs, brake disc skimming, fabrication and welding, fleet maintenance and laser wheel alignment. The company has a fully-equipped workshop capable of coping with any type of vehicle or any type of job. The workshop is operated and manned by fully-trained technicians and service staff. Automotive Services also boasts a large parts department. Among the company’s most sought-after services are laser wheel alignment and brake disc skimming. Automotive Services was founded by Derek’s father and managing director John Murray. Derek’s brother David is also involved in the business as parts manager. The company employs 26 staff in total. To book your next VTN test at Automotive Services, call Lorraine on 1850 887 007.